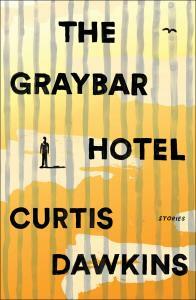 Curtis Dawkins grew up in rural Illinois and earned an MFA in fiction writing at Western Michigan University. He has struggled with alcohol and substance abuse through most of his life and, during a botched home robbery, killed a man on Halloween 2004. Since late 2005, he’s served a life sentence with no possibility of parole in various prisons throughout Michigan. He has three children with his partner, Kim, who is a writing professor living in Portland, Oregon.